I started with Morgan Taylor ReactMAX Optical Brightener, 2 coats of polish & finished with Glisten & Glow top coat. Formula was thin which makes sense because it's listed as sheer. Also I'm reminded how hard Julep can be to apply because it has such a long brush. The holo is so subtle that this polish is going on my purge table. I've given my mainstreams to either friends or to the local cosmetology school so this is going in that pile. 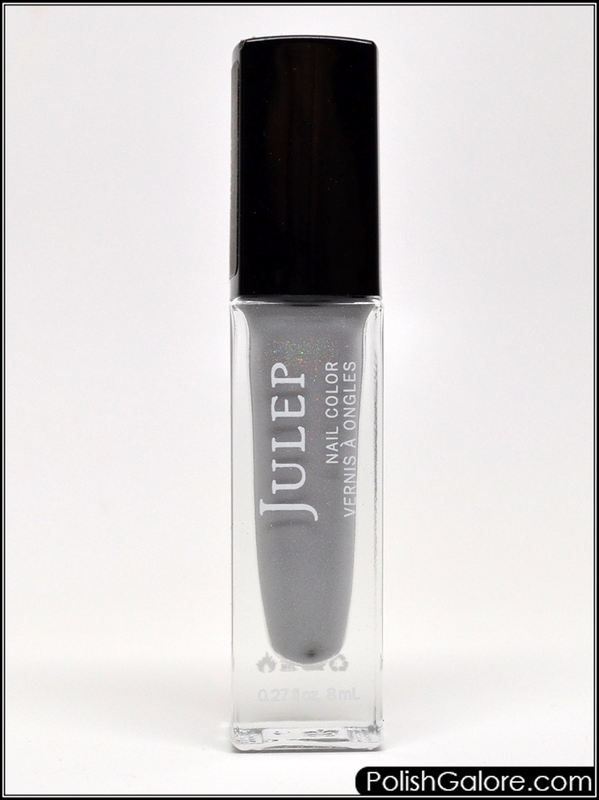 Julep is available on their website for $14 a bottle. You can like them on Facebook and follow them on Twitter.